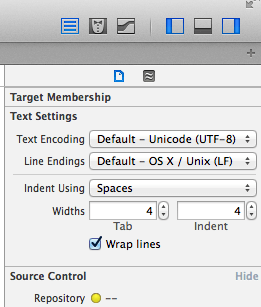 When you create a new .strings file in Xcode it will be encoded as Unicode UTF-8. That’s sufficient to hold all the special characters you can dream of. Xcode will offer to either re-interpret the current file, or to convert it. Choose the latter and save your file (CMD+S), and all is well again with the world. Copy .strings Error – Read failed: The data couldn’t be read because it isn’t in the correct format. In which case, just change it back to UTF-8, choose convert and build again successfully. Note that you can set the encoding format of each file within the strings group. The top level will be encoded like your base translation is, but other files may have a different format set. Click on each one and investigate if it’s set to UTF-8, and if not, set it to UTF-8. Then build again.